Soviet Weightlifting Athletes: Where Are They Now? In this section, the Lift Up introduces the new project "Where Are They Now?". 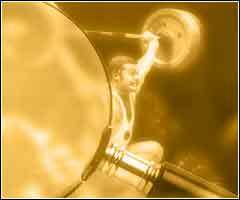 With over 2,000 elite athletes in our database, we decided to start with the legendary Team USSR Weightlifting that won most medals at the Olympics and World Championships than any other of the Dream Teams of the 20th Century. The "Where Are They Now?" feature below is interactive. It should allow you to select the athlete from the list and to view/submit the information on his current whereabouts and his career after leaving the competition platform. Note: The "Where Are They Now?" section is a work-in-progress. Please note that, in order to put the form above directly to your site, you can copy the code below where you wish to appear on your page. Soviet Weightlifting Legends: Where Are They Now?